Fellow (IIM-A) from Indian Institute of Management, Ahmedabad. Fellow (IIM-A) is the doctorate degree awarded by the Indian Institute of Management, Ahmedabad. B. Tech. (Mechanical Engineering) from National Institute of Technology (NIT), Warangal. Corporate Finance, Investment Banking, Capital Markets, Mutual Funds, Corporate Governance, and Financial Engineering. Member of the International Advisory Council, Global Finance Forum, Switzerland. Member of the Banking and Finance Committee, Indian Merchants Chamber, Bombay. Member of the Trading and Surveillance Oversight Committee, Metropolitan Stock Exchange of India Ltd., Mumbai. Member of the Board of Studies in Economics, NMIMS University, Mumbai. Member of the Board of Studies for Inter-disciplinary Programmes, NMIMS University, Mumbai. Senior Manager, ICRA Ltd., New Delhi. Investment Information and Credit Rating Agency (ICRA) Limited is one of the prominent credit rating agencies in India, and is an Associate of Moody’s Inc. Advised a team of analysts on the valuation of equity shares of 12 public sector undertakings (PSUs) referred to ICRA Ltd. by the Disinvestment Commission, Government of India. Consultant to ICRA Ltd., Ashok Leyland Ltd., Larsen and Toubro Ltd., Traco Cables Company Ltd., and Central Bureau of Investigation (CBI). Abhijit Phadnis, and S.V.D. Nageswara Rao (2010), “Factors Influencing Investments into Indian States”, Research Monograph, Published by VDM Verlag Dr. Muller (ISBN: 978-3-639-22187-9). Reeta Shah, and S.V.D. Nageswara Rao (2009), “Economic Value Added as a Performance Measure – Relative Comparison with MVA & Digitization” in book titled “Digitization and Beyond”, ISBN-978-81-905776-76-3. Mangesh Tayde, and S.V.D. Nageswara Rao (2011) “Do Foreign Institutional Investors (FIIs) Exhibit Herding and Positive Feedback Trading in Indian Stock Markets?”, in “Institutional Investors in Global Capital Markets” published by Emerald Group Publishing Ltd., UK (ISBN: 978-1-78052-242-5). S.V.D. Nageswara Rao, and Ruchi Chojer (2011). “Governance in Mutual Funds: An Analysis”, in “Corporate Governance in Banks”, published by Macmillan Publishers India Ltd. (ISBN: 023-032-428-2). S.V.D. Nageswara Rao, and Sree Vinutha (2012). “Estimation of Dynamic VaR”, in “International Finance for Infrastructure Development” published by Bloomsbury in 2012. Reeta Shah, and S.V.D. Nageswara Rao (2013), “Economic Value Added – An Alternative Performance measure” in book titled “Global Interdependence and Decision Sciences” by Macmillan Publishers, ISBN-0230-32852-5. Arunima Haldar, S.V.D. Nageswara Rao (2014), “An Empirical Examination of Relationship between Financial Performance and Corporate Governance” accepted for First Edited Volume on Corporate Governance titled “Contemporary Approach to Corporate Governance: The Indian Context” Indian Institute of Corporate Affairs, New Delhi. Gaurav Raizada, and S.V.D. Nageswara Rao, “Trading Durations and Realized Volatilities”, Journal of Futures Markets (Under Review). Sirus Sharifi, Arunima Haldar, and S.V.D. Nageswara Rao (2016), “Relationship between Operational Risk Management, Size, and Ownership of Indian Banks”, Managerial Finance published by Emerald International (to be published in September 2016) (Ranked ‘B’ – ABDC List). Arunima Haldar, S.V.D. Nageswara Rao, and Kiran Kumar Momaya (2016) “Can Flexibility in Corporate Governance enhance International Competitiveness? Evidence from Knowledge-based Industries in India”, Global Journal of Flexible Systems Management (published by Springer). V. Sree Vinutha, and S.V.D. Nageswara Rao (2016), “Estimation of Dynamic VaR Using JSU and PIV Distributions”, Risk Management (published by Palgrave Macmillan). Devesh Jain, and S.V.D. Nageswara Rao (2016), “Management Control of Teachers – Scale Development and Validation”, Foreign Trade Review (published by Sage). Arunima Haldar, and S.V.D. Nageswara Rao, “Does Board Independence Matter? Evidence from India”, International Journal of Corporate Governance (Under Review). Arunima Haldar, and S.V.D. Nageswara Rao, “Board Room Diversity and Firm Value”, Corporate Governance (Under Review). Arunima Haldar, and S.V.D. Nageswara Rao, “Analysis of Governance Practices of Large Listed Companies in India”, Corporate Governance: An International Review (Under Review). Niraj Satnalika, and S.V.D. 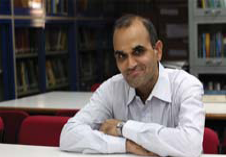 Nageswara Rao (2016), “Inorganic Growth only Route to Achieve Economies of Scale for Indian E-retailers”, Journal of Internet Banking and Commerce (Ranked ‘C’ – ABDC List). Niraj Satnalika, and S.V.D. Nageswara Rao (2015), “Sustainability of E-retail in India”, Indian Journal of Economics and Business (Ranked ‘C’ – ABDC List). Arunima Haldar, Reeta Shah, and S.V.D. Nageswara Rao (2015), “Gender Diversity in Large Listed Indian Companies”, Corporate Ownership and Control, Vol. 12(3). (Ranked ‘B’ – ABDC List). Arunima Haldar, Reeta Shah, and S.V.D. Nageswara Rao (2015), “EVA as a Measure of Corporate Performance”, Corporate Board, Vol.11 (1) (Ranked ‘C’ – ABDC List). Arunima Haldar, and S.V.D. Nageswara Rao (2015), “An Empirical Examination of the Impact of Corporate Governance Disclosure on Financial Performance” Corporate Ownership and Control, Vol. 12 (3) (Ranked ‘B’ – ABDC List). Reeta Shah, Arunima Haldar, and S.V.D. Nageswara Rao (2014), “Economic Value Added: A Financial Flexibility Tool”, Corporate Ownership and Control, 12(1). (Ranked ‘B’ – ABDC List). V. Sree Vinutha, and S.V.D. Nageswara Rao (2014), “Assessing Response of Growth Funds to Macroeconomic Information and Market Index”, Journal of Quantitative Economics, Vol. 12, No.2, July 2014, pages 76-85. (Ranked ‘B’ – ABDC List). Arunima Haldar, and S.V.D. Nageswara Rao (2014) “Corporate Governance in India”, Corporate Ownership and Control (Ranked ‘B’ – ABDC List). Shah R., Haldar A. and S.V.D. Nageswara Rao (2014) “Economic Value Added: Relevance and Implications for Indian Corporates”, The Empirical Economic Letters, 13(7): (July 2014) ISSN 1681 8997. (Ranked ‘C’ – ABDC List). Arunima Haldar, and S.V.D. Nageswara Rao (2013), “Governance Practices of Indian Firms: An Empirical Analysis” The Empirical Economic Letters Vol. 12 (9). (Ranked ‘C’ – ABDC List). Sree. Vinutha V., and S.V.D.Nageswara Rao (2013), “Speed of Reaction of Share Price Indices to Macroeconomic Information”, The Empirical Economics Letters, 2013. (Ranked ‘C’ – ABDC List). Arunima Haldar, and S.V.D. Nageswara Rao (2012), “Portfolio Flows and Governance in Corporate India” IUP Journal of Corporate Governance, Vol. XI (2). S.V.D. Nageswara Rao, and Vishnu S. Ramachandra, “Empirical Testing of Asset Pricing Models in India Stock Markets”, International Journal of Money, Banking, and Finance, Volume 1, January – June 2012, pp 10-25. Arunima Haldar, and S.V.D. Nageswara Rao (2011), “Empirical Study of Ownership Structure and Firm Performance” Indian Journal of Corporate Governance Vol. 4 (2). S.V.D. Nageswara Rao, and Mangesh Tayde, “Do Foreign Portfolio Investment Flows Destabilize the Stock Market? Evidence from India”, The Journal of Venture Capital and Financial Services, Volume 4, No. 1, January – June 2010, pp 27-38. S.V.D. Nageswara Rao, and Vishnu S. Ramachandra, “Stock Returns and Macro Variables: The Indian Evidence”, International Journal of Business Insights and Transformation, Volume 3, No. 1, October 2009 – March 2010, pp 29-38. Vishnu S. Ramachandra, and S.V.D. Nageswara Rao, “Capital Structure, Industry Pricing, and Firm Performance”, International Journal of Business Insights and Transformation, Volume 3, No. 2, April – September 2010, pp 5-12. S.V.D. Nageswara Rao, Leena Shrivastava, and Vishnu S. Ramachandra, “Single and Multi-Criteria Ranking of Mutual Fund Schemes”, Indian Journal of Capital Market, September, 2008. S.V.D. Nageswara Rao, and Vishnu S. Ramachandra, “Response of Stock Prices and Volumes to Bond Rating Changes”, Indian Journal of Capital Market, April – June, 2007. S.V.D. Nageswara Rao, “Response of Stock Prices to Macroeconomic Events”, Finance India, Vol. XI, No. 4, Dec. 1997. S.V.D. Nageswara Rao, “Impact of Macroeconomic Events on Stock Price Behaviour”, Management and Accounting Research, Jul-Sep. 1997. Gaurav Raizada, and S.V.D. Nageswara Rao, “Trading Durations and Realized Volatilities – A Case from Currency Markets”, 2015 46th Annual Meeting of the Decision Sciences Institute, Seattle, WA, USA, November 21 – 24, 2015. Shah R., Haldar A., and S.V.D. Nageswara Rao, “Economic Value Added: A Financial Flexibility Tool”, proceedings of the Fore International Finance Conference, November 2014. Haldar A., Shah R., and S.V.D. Nageswara Rao, “Gender Diversity In Large Listed Indian Companies” proceedings of the Fore International Finance Conference, November 2014. Haldar A., S.V.D. Nageswara Rao, and Momaya K., “Corporate Governance and International Competitiveness: Findings from Select Industries in India,” proceedings of the Fourteenth Global Conference on Flexible Systems Management, Glogift 14 & the 7th ICCB Symposium, Singapore, October 2014. Sharifi S., Haldar A., and S.V.D. Nageswara Rao, “Analysis of Operational Risk Management Practices in Indian Banks“, proceedings of the 14th Finance, Risk and Accounting Conference – University of Oxford, September 2014. Haldar A., Shah R., and S.V.D. Nageswara Rao, “Corporate Governance, Board Diversity and Firm Value: The Indian Experience,” proceedings of Corporate Governance Conference at IIM Trichy, June 2014. Haldar A., Shah R., and S.V.D. Nageswara Rao, “Board Room Diversity and Firm Value: Evidence from India“, proceedings of Annual Conference on Government, Corporate Governance and Growth of Capital Markets, Indian Institute of Capital Markets, Mumbai. Received Outstanding Paper Award at the conference in April 2014. Haldar A., Shah R., and S.V.D. Nageswara Rao, “Does Board Independence Matters? Evidence from India“, proceedings of XII Capital Markets Conference, Indian Institute of Capital Markets, Mumbai, December 2013. Haldar A. and S.V.D. Nageswara Rao, “Corporate Governance Index for Indian Listed Companies“, proceedings of XII Capital Markets Conference, Indian Institute of Capital Markets, Mumbai, December 2013. Haldar A, and S.V.D. Nageswara Rao, “Corporate Governance in India“, proceedings of Annual Conference on Governance and Capital Markets, Indian Institute of Capital Markets, Mumbai, September 2013. Received Outstanding Paper Award at the conference. Haldar A., and S.V.D. Nageswara Rao, “An Empirical Analysis of Governance Practices of Indian Firms”, proceedings of 3rd IIMA International Conference on Advanced Data Analysis, Business Analytics, and Intelligence, IIMA, India, April 2013. Haldar A., and S.V.D. Nageswara Rao, “Corporate Governance Practices in India”, proceedings of 3rd International Conference on Corporate Governance, SRCC, India, March 2012. Haldar A., and S.V.D. Nageswara Rao, “Evolving a Governance Culture in India”, proceedings of International Conference on Decision Sciences in Managing Global Services, MDI, India, December 2010. Haldar A., S.V.D. Nageswara Rao, and Tayde M., “Ownership Structure and Firm Performance: Evidence from India”, proceedings of 2nd Annual General Business Conference, SHSU, Texas, US, April 2010. Received an honorable mention and was selected for journal publication. Haldar A., and S.V.D. Nageswara Rao, “Corporate Governance and Foreign Portfolio Investment: An Empirical Study of Indian Corporate Firms”, proceedings of 3rd International Conference on Global Interdependence and Decision Sciences, December 28-30, 2009, Hyderabad, India. Haldar A., S.V.D. Nageswara Rao, and Tayde M., “Corporate Governance and Foreign Institutional Investment”, proceedings of International Conference on Corporate Governance for Convergence Norms, IITKGP and NFCG, India, September 2009. Reeta Shah, and S.V.D. Nageswara Rao, “Economic Value Added – An Alternative Performance Measure”, proceedings of 3rd International Conference on Global Interdependence & Decision Sciences organized during December 28-30, 2009 by Administrative Staff College of India, Hyderabad. Sree. Vinutha V., and S.V.D.Nageswara Rao, “Mutual Fund Performance Analysis: First, Second, and Third Order Stochastic Dominance Approach,” proceedings of the International Finance and Banking Conference 2013, organized by the International Finance and Banking Society in collaboration with the University of Leicester, University of Cambridge and University of Warwick, 2013. Sree. Vinutha V., and S.V.D.Nageswara Rao, “Benchmark index based on speed of adjustment to macroeconomic information and efficiency,” proceedings of the International Simulation Conference of India 2012, organized by Industrial Engineering and Operations Research (IEOR), Indian Institute of Technology Bombay, Production Modeling India (PMI) and Operational Research Society of India (ORSI), Mumbai Chapter, 2012. Sree. Vinutha V., and S.V.D.Nageswara Rao, “Estimation of Dynamic VaR,” proceedings of the Diamond Jubilee International Conference on Frontiers of Infrastructure Finance 2011, organized by Vinod Gupta School of Management and Ranbir and Chitra Gupta School of Infrastructure Design and Management, Indian Institute of Technology, Kharagpur, 2011. S.V.D. Nageswara Rao, and Ruchi Chojer, “Governance in Mutual Funds: An Analysis”, proceedings of the International Conference on Corporate Governance in Banking Sector, organized by IPE, Hyderabad, September 8-9, 2011..
S.V.D. Nageswara Rao, and Abhijit Phadnis, “Criteria for Locating Manufacturing or Service Facility: Evidence from India”, proceedings of the 12th TCI Annual Global Conference, Jyvaskyla, Finland, October 12-16, 2009. Vishnu S. Ramachandra, and S.V.D. Nageswara Rao, “Capital Structure, Industry Pricing, and Firm Performance”, proceedings of the 22nd Australasian Finance & Banking Conference, organized by the School of Banking and Finance, Australian School of Business, UNSW, Sydney, December 16-18, 2009. Ruchi Chojer, and S.V.D. Nageswara Rao. “Governance of Collective Investment Vehicles – Issues and Practices”, proceedings of the International Conference on Convergence of Corporate Governance Norms, organized by IIT Kharagpur and National Foundation for Corporate Governance, September 05 – 06, 2009. S.V.D. Nageswara Rao, and Mangesh K. Tayde. “The Impact of Foreign Portfolio Investments on Stock Market Returns: Evidence from India” proceedings of the International Conference organized by Association for Global Business, California, USA, November 20 – 23, 2008. S.V.D. Nageswara Rao, and Sanjay Kumar Thakur, “Optimal Hedge Ratio and Hedge Effectiveness: An Empirical Investigation of Hedging in Indian Futures Market” proceedings of the “2008 NTU International Conference of Economics, Finance, and Accounting” organized by National Taiwan University (NTU), Taipei, Taiwan, May 20 – 22, 2008. S.V.D. Nageswara Rao, and Sangeeta Makhija, “An Examination of Initial and Aftermarket Price Performance of Initial Public Offerings of Equity Shares in India” proceedings of the “International Conference on Business and Finance 2008”, organized by Bentley College, Boston, USA, and ICFAI Business School, at Hyderabad, January 11 – 12, 2008. S.V.D. Nageswara Rao, and Mangesh K .Tayde, “The Impact of Foreign Portfolio Investment Flows on Stock Market Volatility in India”, proceedings of the “International Conference on Globalization and Emerging Economies” organized by the Indian Institute of Management (IIM), Indore, August 11 – 13, 2008. S.V.D. Nageswara Rao, and Leena Srivastava, “The Value of Mutual Fund Ranks: Evidence from India” proceedings of the “12th Asia Pacific Management Conference”, organized by School of Management (SOM), Asian Institute of Technology (AIT), Bangkok, Thailand, November 17 – 19, 2006. Vishnu S. Ramachandran, and S.V.D. Nageswara Rao, “Modeling Debt Contract Terms” proceedings of the “12th Asia Pacific Management Conference”, organized by School of Management (SOM), Asian Institute of Technology (AIT), Bangkok, Thailand, November 17 – 19, 2006. Vishnu S. Ramachandran, and S.V.D. Nageswara Rao, “New Security Issue Choice” proceedings of the “Second International Conference on Business, Management, and Economics”, Izmir, Turkey, June 15 – 18, 2006. Vishnu S. Ramachandran, and S.V.D. Nageswara Rao, “Determinants of Aggregate Debt Structure”, proceedings of the “Conference on Research in Finance and Accounting” organized by IIM, Lucknow on March 17 & 18, 2005. S.V.D. Nageswara Rao, and Vishnu S. Ramachandran, “Response of Stock Prices and Volumes to Bond Rating Changes: The Indian Evidence”, proceedings of the “International Conference on Business and Finance” organized by ICFAI University, and Philadelphia University at Hyderabad, December 27 – 28, 2004. S.V.D. Nageswara Rao, Leena Srivastava, and Vishnu S. Ramachandran, “Single and Multi Criteria Ranking of Mutual Fund Schemes”, proceedings of the “Capital Markets Conference 2004” organized by Indian Institute of Capital Markets (Formerly UTI Institute of Capital Markets), Vashi, Navi Mumbai, December 20 – 21, 2004. S.V.D. Nageswara Rao, Vishnu S. Ramachandran, “Empirical Testing of Asset Pricing Models in Indian Stock Markets”, proceedings of the “Conference on Finance and Economics” organized by ICFAI Business School, Bangalore, November 26 – 27, 2004. S.V.D. Nageswara Rao, Vishnu S. Ramachandran, “Stock Returns and Macro Variables: The Indian Evidence”, proceedings of the “Conference on Finance and Economics” organized by ICFAI Business School, Bangalore, November 26 – 27, 2004. S.V.D. Nageswara Rao, “Response of Stock Prices to Policy Announcements: Indian Experience”, proceedings of the “Capital Markets Conference 1997” organized by the Indian Institute of Capital Markets (Formerly UTI Institute of Capital Markets), Vashi, Navi Mumbai, December 26-27, 1997. In-house programme for Reliance Industries Ltd., March 1998. “Course on Renewable Energy” for participants from the Ministry of Non-Conventional Energy Sources, February 7-11, 2000. “Economics for Capital Market Professionals” organized by the UTI Institute of Capital Markets, February 7-11, 2000, Vashi, Navi Mumbai. 2000. Training Programme on “Capital Markets” for executives from the Stockholding Corporation of India, October 13-18, 2000. Training Programme on “Risk Management” for executives of the Stockholding Corporation of India Ltd., 2000. “Training programme for engineers and managers” from Kvaerner Powergas India Pvt. Ltd. from August 03, to October 13, 2002 during the weekends. Training programme on “Venture Management and its related E-Commerce Applications” for participants from the member countries of the Colombo Plan, from November 12 – 21, 2002. Management Development Programme (MDP) on “Building Customer Centric Organization in Services Industry” from November 28 – 29, 2002. MDP for participants from Hindustan Lever Ltd., Mumbai from May 26 – 31, 2003. MDP on “Basics of Finance” for participants from Tata Power Company Limited from July 28 – 30, 2003. MDP for participants from Hindustan Lever Ltd., Mumbai from September 22 -27, 2003. MDP on “Project Management” for participants from Tecnimont ICB Pvt. Ltd., Mumbai, from October 11 to November 22, 2003 on six Saturdays. MDP on “Supply Chain Management” for SAP India Ltd., Bangalore from December 04 – 06, 2003. MDP on “Project Management” for Reliance Industries Ltd., Patalganga from December 11 – 17, 2003. MDP on “Supply Chain Management” for Intel India Ltd., Bangalore from December 17 – 19, 2003. MDP on “Project Management” for Tecnimont ICB Pvt. Ltd. from January 10, 2004 to February 14, 2004. MDP for participants from Tata Teleservices Ltd. from January 15 – 16 , 2004. MDP for participants from Ashok Leyland Ltd. from September 2004 to April 2006. MDP for participants from Sterlite Industries Ltd. from March 07 – 09, and June 06 – 18, 2005. MDP for participants from Sterlite Industries Ltd. from May 16 – 28, and August 15 – 27, 2005. MDP for participants from Sterlite Industries Ltd. from October 10 – 22, 2005, and January 18 – 30, 2006. MDP on “Finance for Non Finance Managers” for participants from Reliance Industries Ltd., March 02 – 03, 2006. MDP on “Manufacturing Excellence” for participants from Larsen and Toubro Ltd., Machinery and Industrial Products (MIPD) Division, May 02 – 05, 2006. MDP on “Operations Management” for participants from Larsen and Toubro Ltd., Machinery and Industrial Products (MIPD) Division, June 06 – 09, 2006. MDP on “Manufacturing Excellence” for participants from Larsen and Toubro Ltd., Machinery and Industrial Products (MIPD) Division, August 28 – 31, 2006. MDP for participants from Hindustan Lever Ltd. (HLL) from April 23 – 29, 2007. Impact of foreign portfolio investment flows on stock market volatility. Credit Risk and Operational Risk Models for Indian Financial Institutions. Stock Price Response to Firm Specific Events. (03427005) Analyzing the Determinants of Corporate Debt Structure and its Impact on Firm Performance in the Indian Context. Awarded Ph.D. in April 2007. (03427801) Performance Evaluation of Mutual Funds. Awarded Ph.D. in June 2008. Awarded Ph.D. in June 2011. (04427801) Initial and after market performance of Initial Public Offerings (IPOs) of Equity Shares in India. (014427002) A Study of Hedging Performance in the Indian Capital Markets. Awarded Ph.D. in June 2015. An Empirical Analysis of Governance Practices of Indian Firms. Defense viva-voce to be scheduled. Post Graduate Dissertation SupervisionS. No. Hemang Dave Financing of Power Project. Vasanth Subramanian Comparison of stock indices. Amit Chawla Developing VAR for forex positions at IDBI Bank. Mahesh S. Risk management for a complete trading solution. Debanjan Bagchi Estimation of expected loss distribution of credit portfolio of the Vysya Bank Ltd.
Vishnu S. Ramachandra. Developing a framework to evaluate performance of private road concessions. Hariramakrishnan S. Assessing the IT needs of the banking sector. Gaurav Lal Management of sub transmission system in the power sector. Harish Jere (00927415) Power Sector Reforms and Electricity Pricing. Apoorva E. & Group No. Prof. N. Ramakrishnan, Mech. Engg. Dept. Prof. P.P. Date, Mech. Engg. Dept.